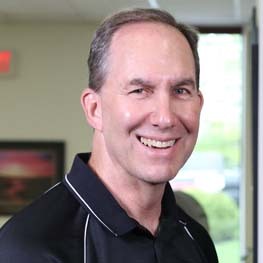 Bruce obtained a master's degree in Physical Therapy in 1984 from Beaver College (Arcadia University) and has been an athletic trainer since 1978. In the mid-1980s, he was the director of several sports medicine clinics in the region. In 1989, Bruce opened his own practice, Apple Physical Therapy, P.A., which he operated successfully until the business was sold in 1997 to HealthSouth. He was the clinic manager for their full-service rehabilitation facility in Marlton and administrator for six other offices in the tri-county area. Highlights of his career as an athletic trainer include: a stint in July 2013 at the 19th World Maccabiah Games in Israel; work with the Detroit Tigers organization; Atlanta Summer Olympics, 1996; Colorado Springs Olympic Training Center, 1998; the World Maccabiah Games in Israel, 1989 and the Australian Maccabiah Sports Carnival, 1988. Bruce has also assisted with training for the Denver Nuggets, Philadelphia Flyers, Philadelphia Eagles and State Farm U.S. Figure Skating Championships in Philadelphia. In his spare time, Bruce can often be found on the golf course and is involved with several charitable organizations, locally and nationally. He is proud to have served as U.S. Golf Chairman and team member at the European Maccabi Games in Berlin, Germany, summer 2015. Bruce resides in Cherry Hill with his wife, Jan, and their daughters, Sara and Molly.